Few visitors to the Grand Canyon have not heard the legend of the Wailing Woman of Transept Trail. It is said that the Woman can be observed clad in a white dress decorated with blue flowers pacing about on the trail. As her title indicates, she cries bitterly as she walks about. 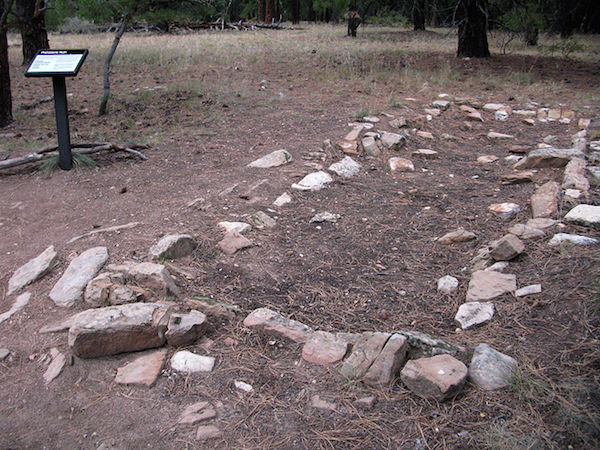 As if that weren’t enough, there are also a number of creepy archaeological formations and ruins that you’ll encounter as you continue along on the North Rim.